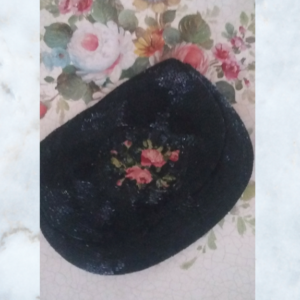 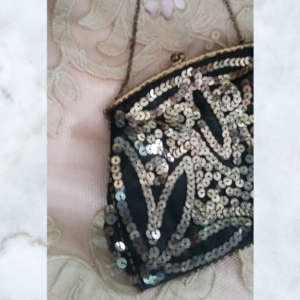 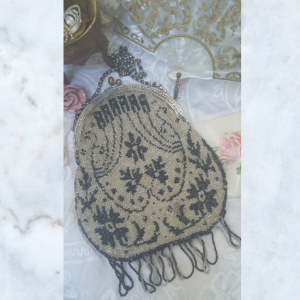 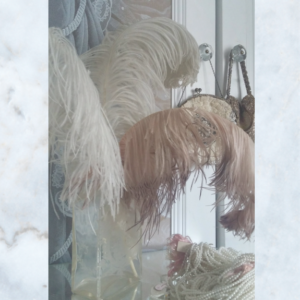 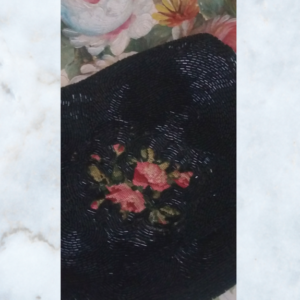 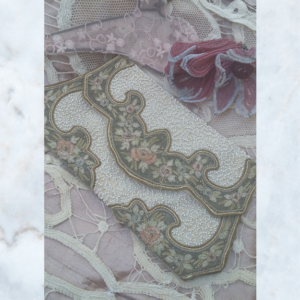 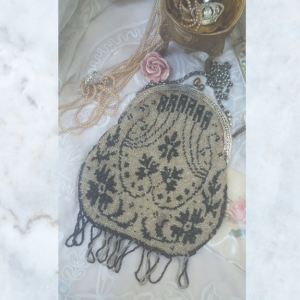 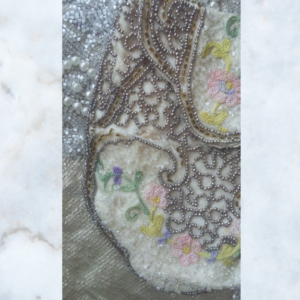 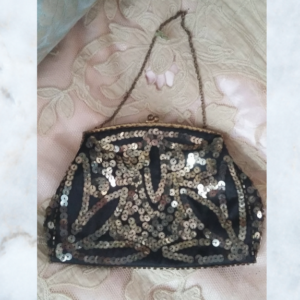 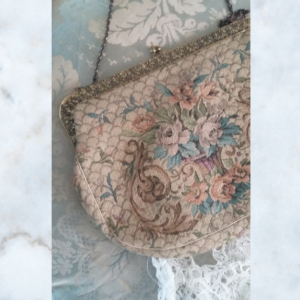 A lovely range of one off Antique & Vintage items including lace scarfs,embroidered shawls, bags, jewellery, gloves, crowns & shoes. 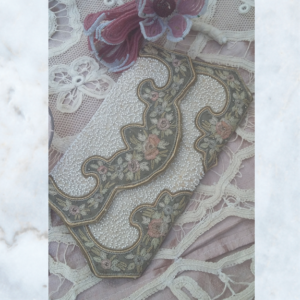 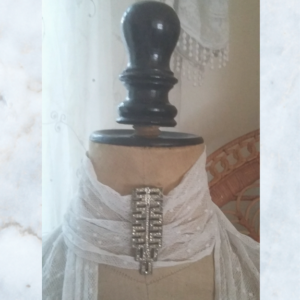 Included is our own range, Lola Pearl Vintage handmade & reworked items. 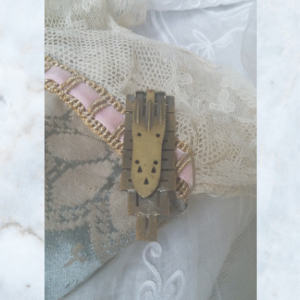 We also stock Jeanne d’Arc Living accessories . 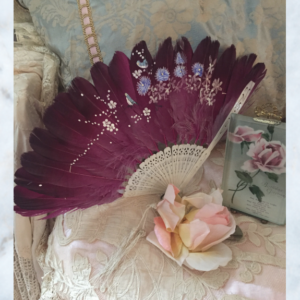 Antique chinoiserie feather hand painted hand fan, plum coloured feathers, hand painted with birds & floral detail. 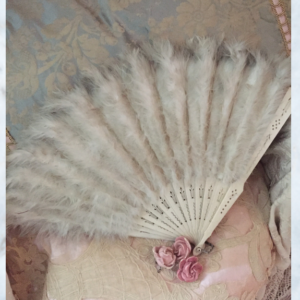 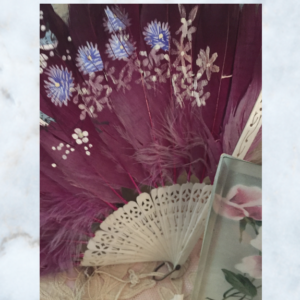 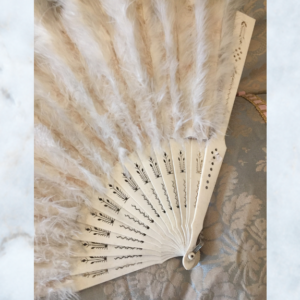 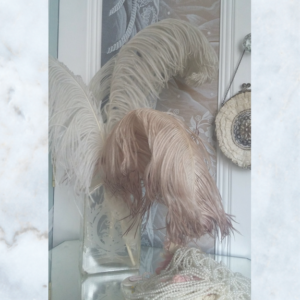 Swan down feather silk hand fan circa 1910, with decorative detail. 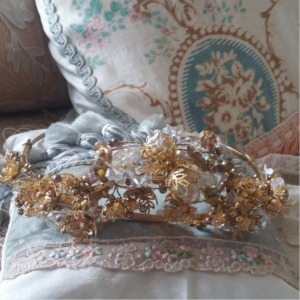 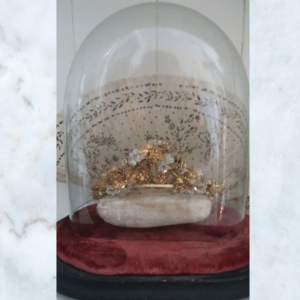 Vintage French crown, tiara, adorned with gold metal flowers & glass beads. 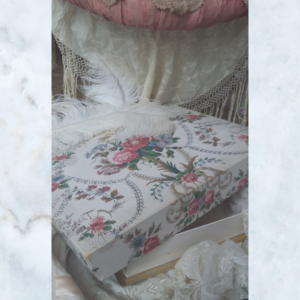 Vintage French floral chocolate box with beautiful floral detail & gold trim. 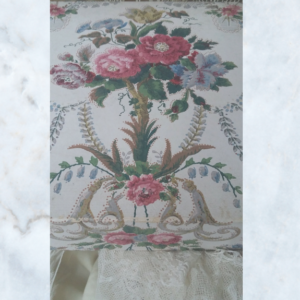 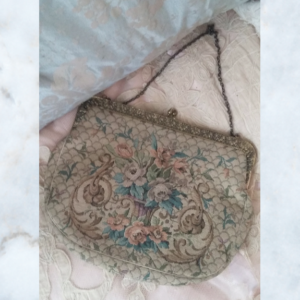 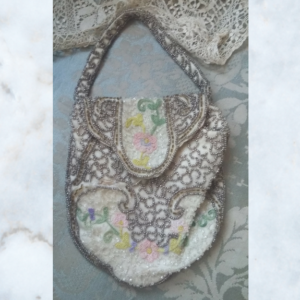 Antique French tapestry bag with faded blues, purples & pink floral vase design.